The world has changed and digital transformation has arrived. Industries are now on the biggest race since the great 4th industrial revolution and if we learned one thing from history about what a revolution needs, it’s manpower. It is now a challenge for any learning institution to arm its students with the proper knowledge to face the modern workplaces of a digitally disrupted world. Tech One Global together with Microsoft, is on its quest to help every individual reach their full digital potential, starting at the grassroots level, the school. Microsoft Office 365 (M365) is the all-encompassing productivity and workflow solution that most companies use today. 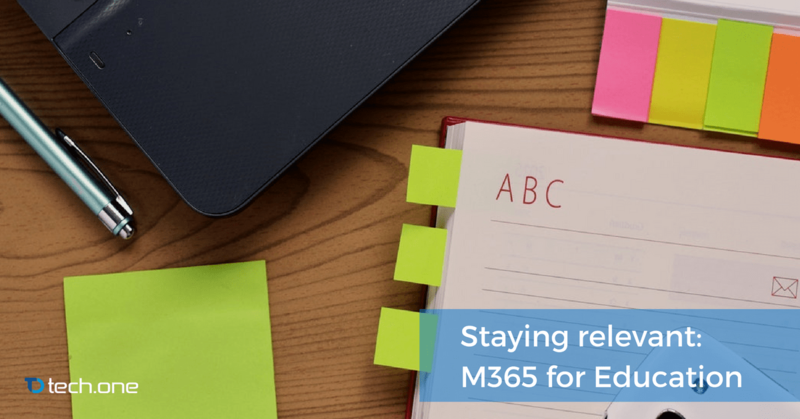 Therefore, it is crucial for the education sector to start equipping their students become more globally competitive and ready to take on jobs when they graduate by integrating M365 into the standard curriculum. M365 is not only a compilation of the essential Microsoft Tools and more: Word, PowerPoint, Excel, Outlook, Teams, and SharePoint. Any institution that has an eye for the future would be wise to invest as early as now with the necessary Microsoft tools mentioned. This will give students the competitive edge because every established and reputable workplace is using these tools daily. Thankfully, organizations like Tech One Global and Microsoft have many initiatives that teaches and engages students in the many potential of Microsoft’s technology. Nothing can beat preparation when entering the innovated modern workplace. Click here to read more. Technology is now being integrated into schools and universities, requiring multiple account log ins for different learning apps. This means that there would be a multitude of devices and identities that demand an efficient way of management. Recent studies show that there is at least three students in a class who would require to retrieve their password prior to each learning session, thereby delaying productive learning time and adding stress to both faculty and student. M365 solves this issue by using a single sign on for multiple learning apps and platforms. It’s also very flexible when it comes to its subscription by allowing multiple users in a single license under one subscription. This makes identity management far easier than the traditional way of keeping tabs of an institutions identity and device records. You can click here if you want to read more. Minecraft is the revolutionary sandbox game that changed the landscape of gaming in the last decade. Microsoft took the liberty of bringing it closer to classrooms to provide a more engaging and creative way for learning. By putting learning in the virtual world, students are encouraged to become independent and rely on their wits to make the most out of the open world. Minecraft for Education also has its own code builder and is in 3D to engage students with a more immersive and transformative learning experience. It’s also easier now to integrate with the school’s systems because it comes together with M365 for education as a bundle. This places Minecraft integration naturally in a learning environment. Click here to read more about Minecraft for Education. We have yet to unlock the full potential of M365 in today’s modern workplace. With that in mind, we are launching initiatives that we hope can help students and aspiring learners to find their place in the modern workplace.